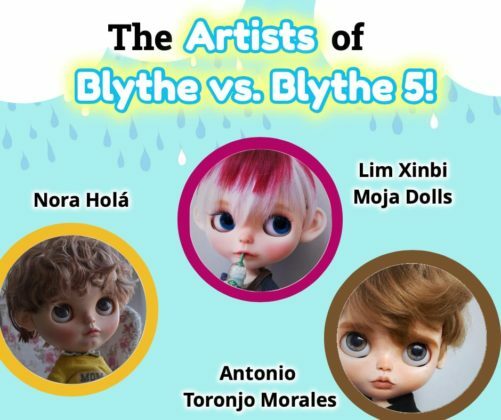 Blythe vs. Blythe 5 is about to start on April 1st and we are now in our second year, and fifth incredible online Blythe event. 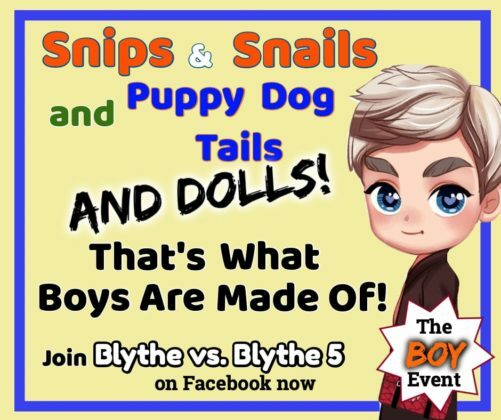 Join a growing Blythe community who enjoy getting together on Facebook to share the love of Blythe for an entire month. We play games, have live demos, have contests and more. At the end of the month the artists participating in the main event reveal their dolls. One artist will be randomly chosen as the winner and a member of the group will win the winning doll! A month long of fun and excitement is had by all! Join now, and join the fun! The main event is going to be all about BOYS! The big difference in this event is that the main event is going to be a showcase of artists and there will not be a vote. The winning artist will be chosen randomly. A member of the group will still win the custom doll that is chosen. Entry for each collector/member is $20. Members will be added within 24 hours. If you are not added please convo me asap. Sometimes they slip through because I am not always notified by Etsy and if I’m not friends with you on Facebook I cannot add you to the group unless you add me as a friend or request to join the group. There will be all the same games, entry, demos and fun as all the previous events! Entry gift is a download of a baseball cap pattern or eye chip download.